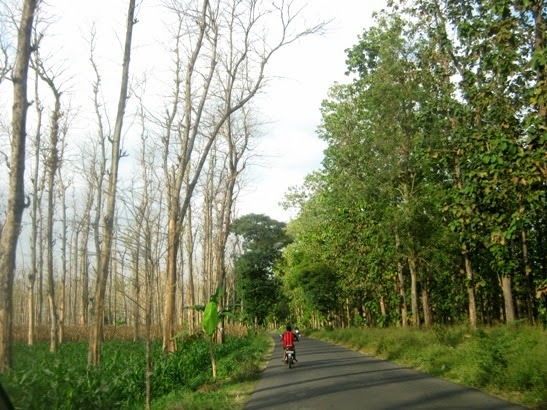 I saw teak plantation on both sides of an alternative road (Bumiayu, Central Java Province, Indonesia). That morning, we had to choose this road as traffic jam occurred on the main route. 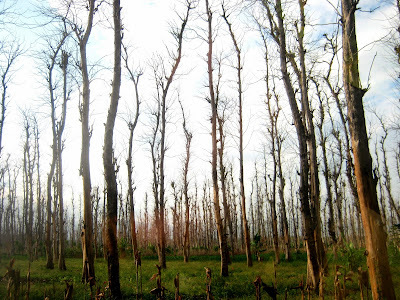 Teak trees with no leaves can be seen on the side that receives daylight longer. 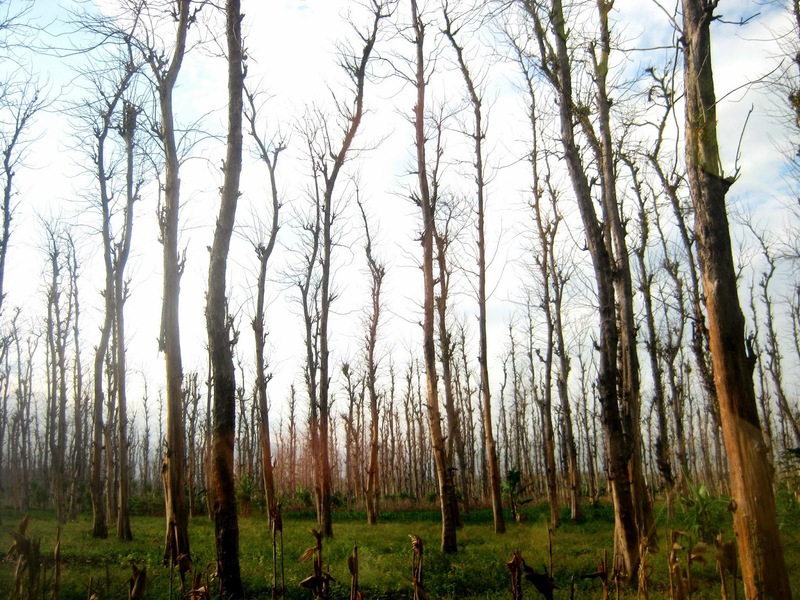 Teak will shed their leaves to reduce water evaporation. It creates wonderful contrast, right? Wonderful pictures, I really like the forests of teak! That is incredibly interesting! A fun contrast to see. Teak trees are a type we never see here in US of course. Interesting. I didn't know teak does that. Those trees look so spindly. Amazing sense of inner strength. Great photos. strange, so thin they are. Not much branches there. Interesting!